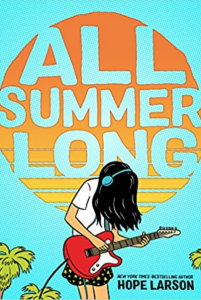 All Summer Long by Hope Larson – Hope Larson’s latest graphic novel is all about summer break. Bina’s not so sure about spending her summer without her best friend Austin, but while he’s gone she’s able to forge a new friendship with Austin’s sister and spend plenty of time on her music. When Austin gets back from his time at camp, will their friendship still be as strong as ever? Be Prepared by Vera Brosgol – As an immigrant from Russia, Vera really just wants to be like everyone else. And part of that is going to summer camp, though her mom’s budget means that her only option is to attend a summer camp for Russian kids. But, it turns out that camp may not be everything Vera had hoped for after all. 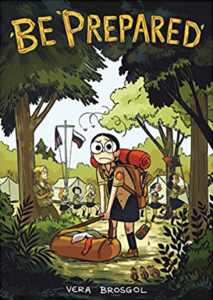 This story is sure to be relatable for kids who’ve attended summer camp and fun for those who have only ever dreamed of a camp experience. Moonstruck Vol. 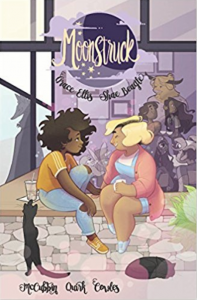 1 written by Grace Ellis with art by Shae Beagle and Kate Leth – Set in a town full of fantastic citizens, including werewolves, centaurs, and more, this story follows werewolf barista Julie through work, relationships, and more. With cute artwork and a fun plot, this is a great read for fantasy fans. Heavy Vinyl written by Carly Usdin with art by Nina Vakueva – When Chris gets a job at a record shop, she just thinks she’ll have a cool workplace. Little does she know that her coworkers are all part of a secret fight club. 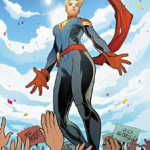 This book offers a very different take on the typical comic about vigilantes and has a lot of great female characters. Fab 4 Mania by Carol Tyler – This memoir, based on the author’s own teenage diary, recounts her excitement about the Beatles as a 13-year old. Perfect for those who want to see what fandom was like in the 1960’s and fans of graphic memoirs. 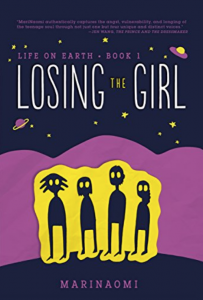 Losing the Girl by MariNaomi – When Claudia disappears, her classmates have no idea what to think, but one option is definitely alien abduction, right? Though this book is concerned with Claudia’s sudden disappearance, it is also about much more than that, tackling relatable teen topics such as romance, friendship, and facing sudden and unexpected changes to one’s life. 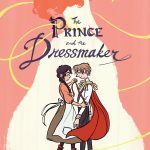 The Prince and the Dressmaker by Jen Wang – Prince Sebastian leads a busy life. His parents are eager for him to marry and are looking for a wife for him. 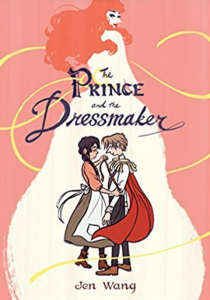 But, at the same time he is leading a secret double life as Lady Crystallia, who becomes a fashion icon with the help of his friend and personal dressmaker Frances. But, how will Sebastian’s need for secrecy work with Frances’ desire to become a famous fashion designer? 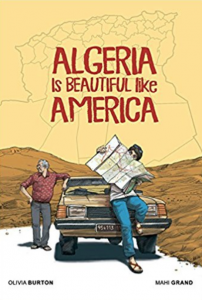 Algeria Is Beautiful Like America written by Olivia Burton with art by Mahi Grand – This autobiographical work about Burton’s travels to her grandmother’s native Algeria offers an interesting view not only of the country but also into her quest to understand her family history. Niki de Saint Phalle: The Garden of Secrets by Sandrine Martin and Dominique Osuch – This biographical comic introduces readers to Niki de Saint Phalle, an important female sculptor. 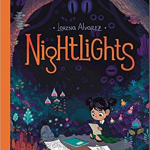 With a striking art style and an important story to tell, this is a perfect suggestion for art enthusiasts whether they typically favor graphic novels or not. Fence written by C.S. Pacat with art by Johanna the Mad – Regular readers of this feature may recall Fence from the November post, but the first collected volume of the series will be released in the summer of 2018. 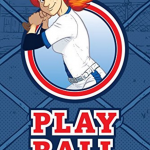 This series has it all, sports, competitions, high school drama, romance! 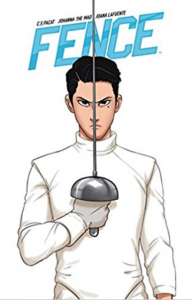 It is well worth adding to your collection, particularly since fencing doesn’t typically get much attention in comics or young adult literature. 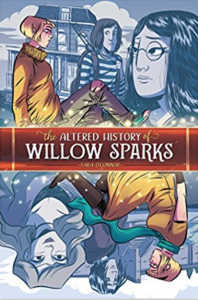 The Altered History of Willow Sparks by Tara O’Connor – This book is for anyone who has ever dreamed about having the power to change their life through magic. Willow Sparks is just trying to make it through high school despite her questionable social status. But, when she discovers a book that gives her the power to completely change her life, she has a chance for more than that. The question is will magical popularity be all that it is cracked up to be? 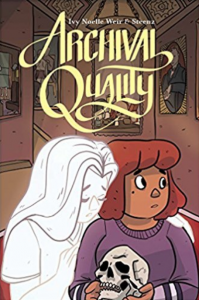 Archival Quality by Ivy Noelle Weir and Steenz – Former librarian Cel finds herself working as an archivist at a museum when she loses her library job. When Cel meets a ghost from the museum’s past, she begins to question herself, but eventually partners with the ghost to help her tackle the problems that still hang over her. With its focus on mental health topics, this book is more than just a fun read. Photographic: The Life of Graciela Iturbide written by Isabel Quintero with art by Zeke Peña – This graphic biography of Graciela Iturbide will introduce readers to a photographer whose work they may not be familiar with. The book chronicles Iturbide’s start as a photographer and her travels around the world taking the photographs that would make her an icon in the field. This is a great example of graphic biography. 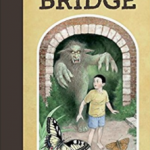 The City on the Other Side written by Mairghread Scott with art by Robin Robinson – Set in San Francisco in the early 1900’s and in the fairy kingdoms that connect to the city, this book follows Isabel, a dutiful daughter, who accidentally finds herself in a magical city. There she must find her place and role in a war between two groups of fairies. A fun adventure for anyone who enjoys fantasy tales. This is only a selection of the great comics and graphic novels by women that are being released in 2018. Let me know in the comments if I’ve missed any or which ones you are most excited for! Wow – all of these look awesome! Now I have to remember to look for them as they come out this year.